Inspired by "Sun and eye"
The su has always meant life to every people. 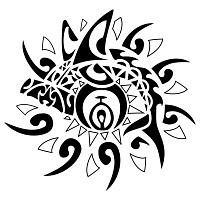 Lucio requested a Maori styled sun that would represent power and authority, and that´s why we decided to draw the hammerhead shark (power, determination), and the all-seeing eye inside of it. 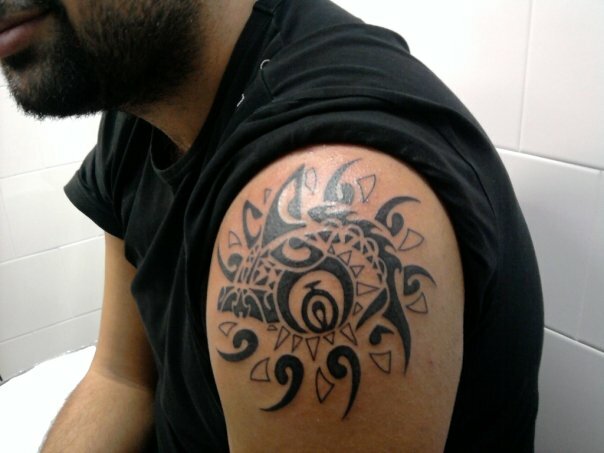 The all-seeing eye was tattooed by warriors to catch the attention of their enemies and to scare them.